The AGS are holding their first official photography competition for the geotechnical and geoenvironmental industry. We’re on the look out for your most creative working images, whether it be a landscape project shot, a close-up laboratory testing image or simply you and your colleague’s problem solving in the office. If you’re a budding photographer or have a great engineering image which you’d like to enter, then we’d like to see it. Entry into the competition is free and the winner of the competition will win a Piccadilly wicker hamper basket from luxury retailer, Fortnum and Mason, worth £75. 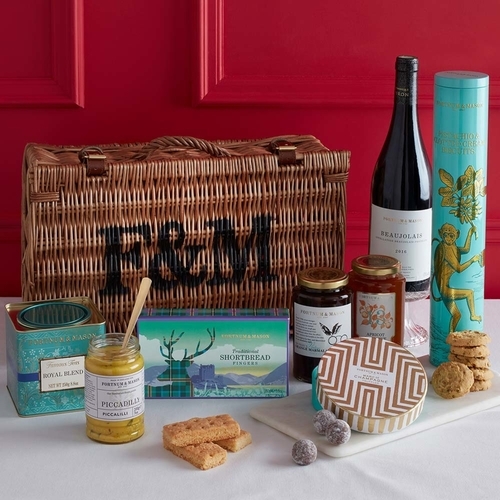 The hamper includes Pistachio and Clotted Cream Biscuits, Marc de Champagne Truffles, Breakfast blend Coffee, Breakfast blend tea, Strawberry Preserve, Fortum’s Piccadilly Piccalilli, Burlington Breakfast Marmalade and Fortnum’s Dao Tino. There are no restrictions on the photography equipment used, so feel free to use a phone, computer, tablet or a traditional hand-held camera to capture your image. All entries will be reviewed by the AGS Magazine Editorial Board, who will decide on a shortlist and overall winner. Full details will be announced in the January/February 2019 issue of AGS Magazine. The AGS are looking for high resolution jpeg images (no less than 300 dpi / over 1mb image file size) of a geotechnical and geoenvironmental nature. Images can include project imagery, laboratory testing, collaborative working and more. Photographs featuring staff should demonstrate health and safety procedures are in place, if appropriate. to ags@ags.org.uk with the subject ‘AGS Magazine: Photography Competition 2018’ in the email. •	There is no limit to the number of images you enter. •	The deadline for entries is Friday 21st December 2018. •	Applicants must be aged 18 or over. •	All images must be high resolution and 300 DPI (dots per inch) / over 1mb image file size. •	Applicants must be based in the UK. •	The photographer must have full copyright of all entered images. •	All images entered may be reproduced by the AGS and used in future AGS event and marketing literature without prior notice. This may include usage across the AGS’ social media channels, inclusion in the AGS Magazine and on the AGS website.